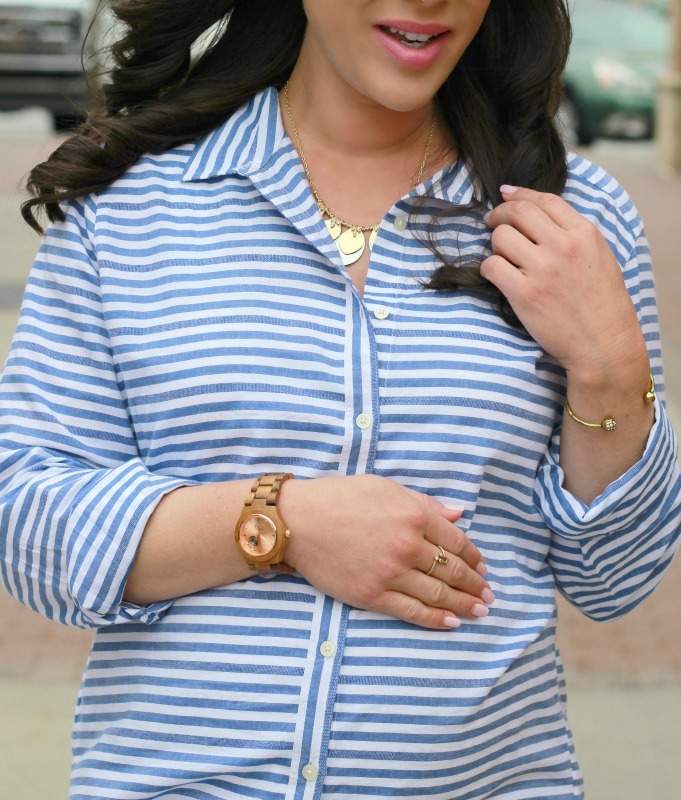 Style in Harmony: JORD Wood & Rose Gold Watch + Giveaway! 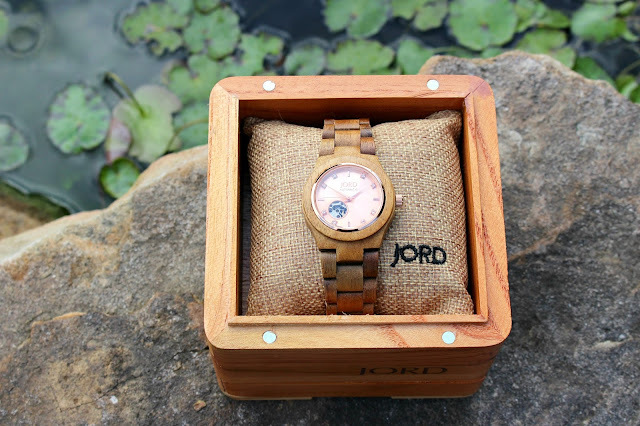 I'm so excited to be teaming up with JORD today to share their beautiful and unique wooden watches and give you a chance to win $100 toward a watch of your own (scroll to bottom for details)! The watch I'm styling is from the Cora Series and is made of golden Koa wood with a rose gold face. It is absolutely stunning!! When I received it in the mail, I was blown away by not only the watch itself but also the amazing packaging. 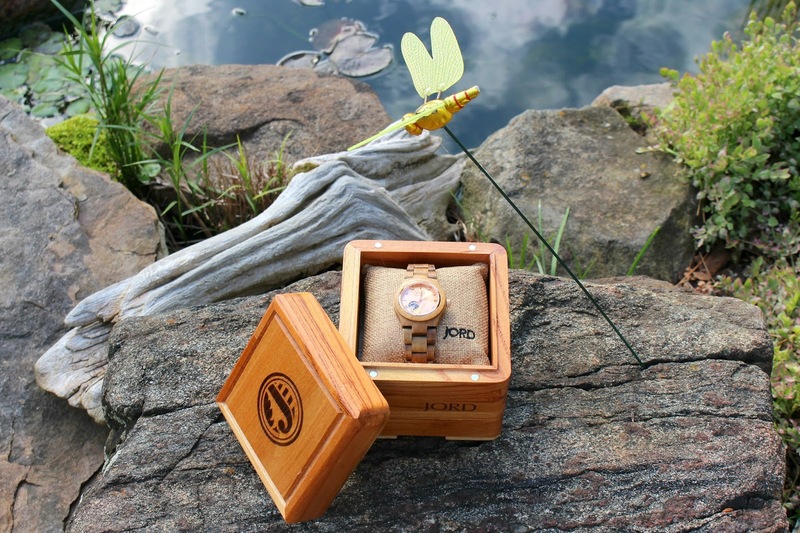 The watches are sent in a gorgeous wooden box and displayed on a small pillow. The box has a drawer that pulls out with cleaning products (natural finishing oil and polishing cloth) to help preserve your watch. This cool box is perfect for storing and protecting! I love how you can wear this watch with almost anything. I styled it with a casual spring/summer outfit, but it can easily be dressed up as well! 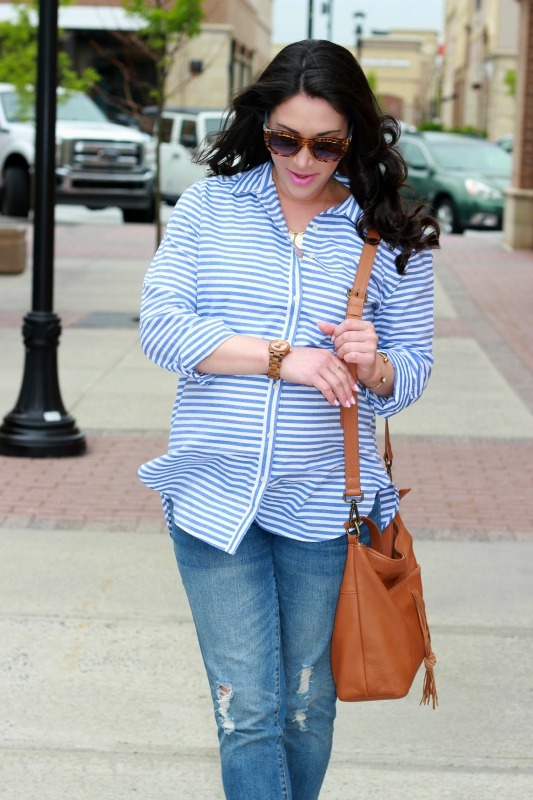 The rose gold and striped top is an easy, breezy summer combo that I adore! 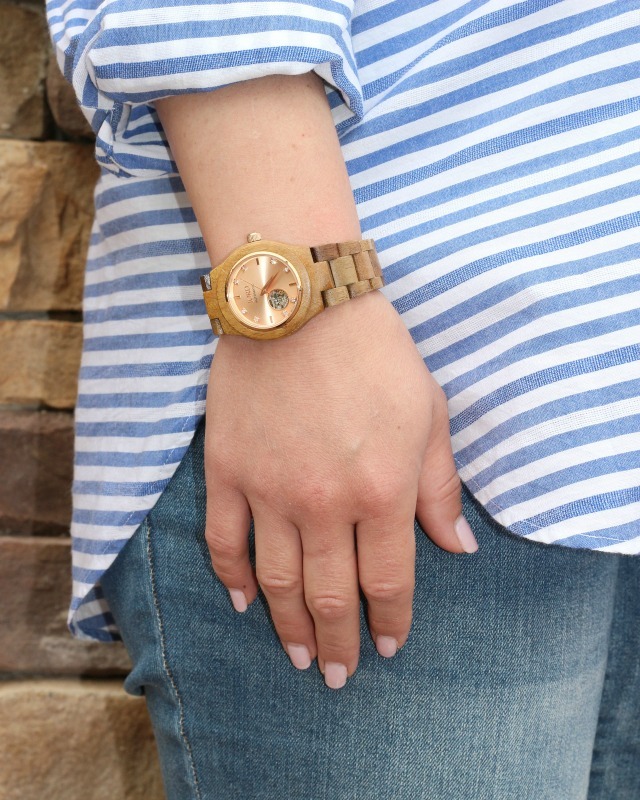 Here's the best part: JORD carries stylish watches for both men and women! When Todd saw my watch, he immediately went to the site to browse the men's section and said, "these watches are so cool, can you get me one!?" LOL. They also make great gifts (Father's Day, graduations, birthdays, etc.)! Click here to shop men's watches and here for women's watches. 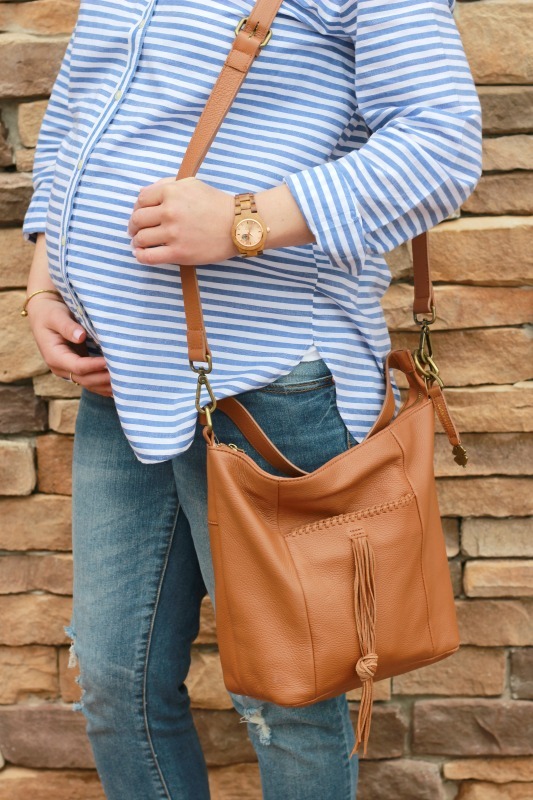 About my outfit: my LOFT softened striped top and mixed metallic leaf necklace are both 30% off or 40% off with your LOVELOFT card (in stores and online with code LOVEMOM)! This top is so lightweight and perfect for cool summer nights (would be so adorable for a beach vacation with white jeans shorts)! FYI, it's not maternity (I sized up for the bump!). Congrats to the winner, Jaimie O'Sullivan! If you entered, you should have received an e-mail with a $25 code. If you didn't, the code is styleinharmony25sp. Enjoy your watch and thanks for entering! JORD has been kind enough to give one lucky reader $100 to use toward a watch! One reader will win, but everyone will receive a $25 code just for entering! The contest will end on 5/28/17 at 11:59pm. Both the $100 and $25 code expire on 7/31/17. This post is in collaboration with JORD. All opinions are my own. I love the soft colors on that watch! It's feminine and perfect for everyday! Also you are rocking the maternity looks gf! 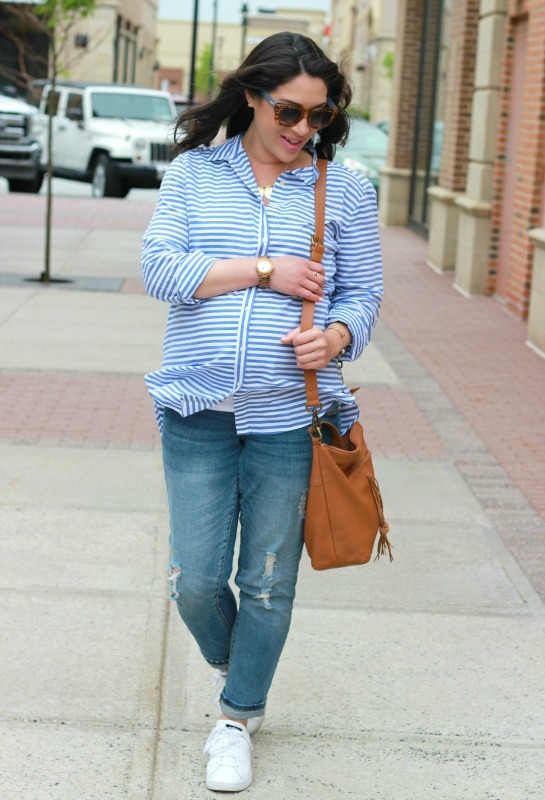 Love that striped top on you! I love Loft so much. 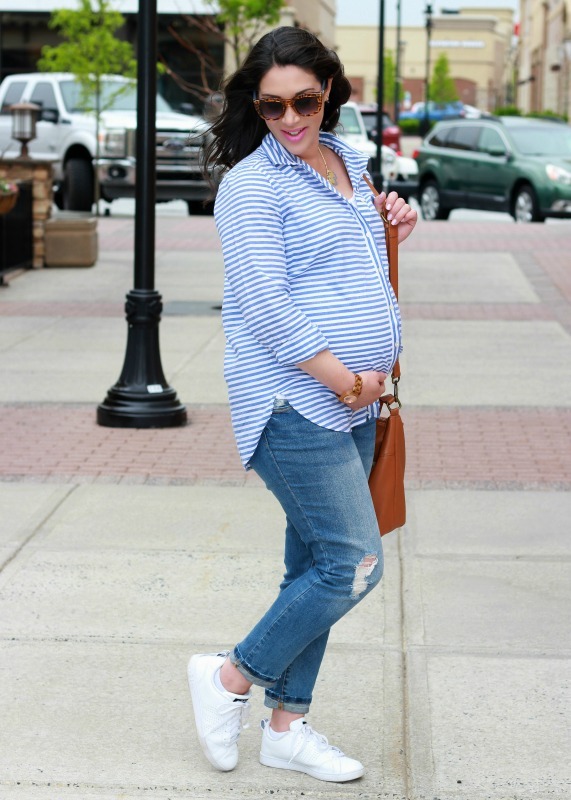 The top and necklace are both so chic and suit your bump so well. I love Jord watches. I have two and they are beautiful and always wrapped with such care. Welcome by and join my latest brand-new Thursday Moda linkup currently live on the blog, today. Thanks and have a great weekend! Thanks Ada!! I loving my JORD watch too!